Tired of walking on that treadmill and getting nowhere, literally? If you watch what you eat and find those extra miles are getting you nowhere in terms of your body shape, Smartlipo MPX may be just what the doctor ordered. 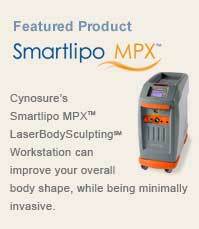 The treadmill is no match for Smartlipo MPX, the latest innovation in LaserBodySculpting. 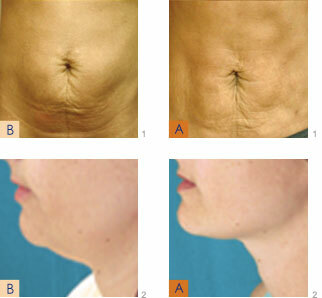 Smartlipo MPX provides maximized results for both fat removal and skin tightening. You can finally have that body you have always wanted. Dr. Gardner added Smartlipo™ after recognizing that certain “trouble areas” could not be adequately corrected by external lasers, Botox®, or dermal fillers. This is particularly true of the low face and neck in those with sagging jowls or loose skin and those who wish their tummy was flat and firm again. Now, instead of referring these patients for lower face-lifts or tummy tucks, we are able to offer the latest minimally-invasive procedure in the out-patient setting. In addition, we can treat many other areas that are difficult to “exercise off”, including flabbiness of the arms, abdomen, chest, flanks, bra overhang, and thighs. Laser liposculpture removes fat and reshapes the face and body while you are awake but under sedation. Most procedures take about 2 hours and there is usually minimal bruising and no noticeable scars. Patients can go right back to work or activities a day or two later, in most cases. Up to 3 liters of fat can be removed in a single procedure. Fat removed with liposculpture does not grow back. Done under local anesthesia and mild sedation. This means you are awake and able to eat, take a look in the mirror or get up for a potty-break during the procedure. A laser is first used under the skin to destroy and liquefy the fat cells. The fat can then be aspirated through much smaller instruments. The laser coagulates the blood vessels supplying the fat cells. This leads to an insignificant amount of bloods loss, less bruising, less pain, and less down-time. The laser under the skin more effectively tightens the skin than external lasers. Unlike traditional tummy-tucks, Smartlipo™ does not require the surgical removal of skin. No stitches or unsightly scars because the laser and liposuction instruments are placed through very small incisions.